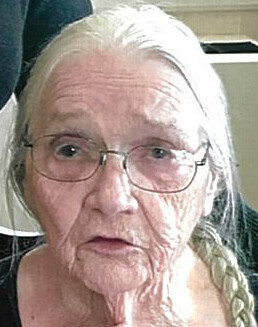 Flora V. Clift, 84, of Shelbyville, Kentucky, formerly of Dillsboro passed away Friday, April 5, 2019 at the Masonic Home in Shelbyville, Kentucky. Flora was born Saturday, November 17, 1934 in Cincinnati, Ohio, the daughter of Joe and Maggie (Neal) King. She married Fred A. Clift April 27, 1953 and he preceded her in death March 22, 1996. Flora was a homemaker and raised 8 children. She was a former member of the Church of God in Cincinnati, Ohio, loved her family, going to auctions with her husband and loved animals. Flora is survived by sons: Gary (Debbie) Clift of Blue Ash, OH, Richard (Danette) Clift of Pendleton, KY, Michael (Marcella) Clift of Williamstown, KY, Fred (Rhonda) Clift of Andersonville, TN; daughters: Donna Borieo of Corbin, KY, Deborah (Jim) Peters of Oldenburg, IN, Brenda Norman of Lawrenceburg, KY and Rebecca (Mark) Gibson of Batesville, IN; brothers Wiley, Robert and Dewey King; sisters; Mary Kennedy and Beulah Courter; 18 grandchildren; 15 great-grandchildren and 3 great-great-grandchildren. She was preceded in death by her husband Fred, her parents, 1 son Johnny Ray Clift in 1961, Grandaughter Amanda Lee Peters; 3 brothers and 4 sisters. A service celebrating her life will be held 11 AM Tuesday, April 9, 2019 at Filter-DeVries-Moore Funeral Home in Dillsboro with Pastor Steve O’Brien officiating. Burial will follow in Oakdale Cemetery. Family and friends may gather to share and remember her 5-8 PM Monday, April 8 also at the funeral home. Memorials may be given in honor of Flora to the Ripley County animal shelter. Filter-DeVries-Moore Funeral Home entrusted with arrangements, 12287 Lenover Street, Box 146, Dillsboro, IN 47018, (812)432-5480. You may go to www.filterdevriesmoore.com to leave an online condolence message for the family.